Thursday night, by the light of an oil lamp, I tuned my trusty Sony portable shortwave to 6,165 kHz. At 2:00 UTC, I was rewarded with a rich, full signal from Radio Netherlands Worldwide’s transmission site in Bonaire. Here in this off-grid cabin, on sixty rural acres, I bask in the freedom from electrical noise that might otherwise interfere with my shortwave radio listening—at least in this respect, this is the perfect DXpedition cabin. The signal coming out of Bonaire, however, would have overcome any interference: Radio Netherlands, my dear friend of some 32 years, had opened a special frequency for those of us in eastern North America…in order to say their good-byes to the airwaves. I can only describe the experience of listening as radio bliss…pure radio bliss…marred only by the bittersweet realization that these were RNW’s final days on the air. The experience harkened back to the day when the big broadcasters had booming signals directed toward us. But, alas. All too brief. Then, all day Friday, for nearly 24 hours straight, RNW bid good-bye and farewell to various parts of the world via shortwave, satellite and the internet. I was lucky enough to catch two more broadcasts. This time of day (19:00 UTC), however, I needed bigger ears than the Sony could provide. I was listening to broadcasts targeting west and east Africa, not North America. Having already charged my laptop battery, I plugged in the Bonito Radiojet (an SDR that I’m currently reviewing) and, just before 1900 UTC, directed her towards 17,605 kHz. Though my Sony found the signal barely audible, the RadioJet produced beautiful fidelity. At 20:00 UTC, RNW broadcast their very final show—a repeat of Farewell and Thank You (above) appropriately targeting Africa once more. I tuned the dial to 11615 kHz and listened again to the full broadcast. This time, however, as the program drew to its close, the broadcast crew added a personal message. Jonathan Groubert, the talented host of The State We’re In, broadcasted live from Hilversum’s Studio 4 for a deeply touching adieu. Tears were shed, and I’m not ashamed to confess that I, too, listened through a haze of them as these capable and dedicated journalists, whom I’ve grown to trust, signed off the RNW airwaves for the last time. Jonathan Marks, RNW’s host of MediaNetwork, also featured in the farewell broadcast, recorded the final sign-off from within Studio 4. You can listen to this and read the description on his excellent website. RNW–my dear radio friends—I’m going to miss you. Your personalities–and the collective personality of RNW itself–your award-winning content, news, reporting, and your integrity stood out amongst all those Cold War broadcasters I listened to growing up—who, as you so well put it, were merely mouthpieces for their respective governments. 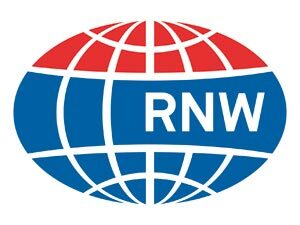 Radio Nederland, I loved your broadcasting because you were fearless: you marched to the beat of your own drummer, were not afraid to turn a critical eye even upon yourself, and as a result–in a world of sham journalism, of compromise and hypocrisy—you earned my trust. You had nothing to hide, and you had so many stories to tell. I wish you (and your intrepid creators) the very best in all that you do. I trust your new incarnation(s), whatever form they take, will do much good in this world which so sorely needs it, and sincerely believe that your integrity will live on. This entry was posted in Broadcasters, News, Radio History, Recordings, Shortwave Radio and tagged Jonathan Groubert, Jonathan Marks, Radio Nederland Final, Radio Netherlands Worldwide, Radio Netherlands Worldwide Cuts, Radio Netherlands Worldwide Recordings, RNW, RNW Cuts, RNW Farewell, RNW Farewell and Thank You, RNW Recording Final Sign Off, RNW The First 50 Years, Shortwave Radio Recordings, The State We're In on July 2, 2012 by Thomas. WILL SURELY MISS YOU GUYS, VOORAL IN HET NEDERLANDS. IS THERE NOWHERE I WILL BE ABLE TO HEAR DUTCH ON THE INTERNET? ZEG DAT HET NIET WAAR IS!!! 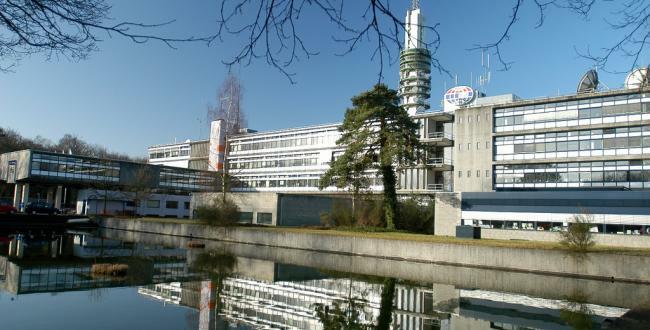 We should have a new version of the Happy Station, based at a Hilversum transmitter, to transmit firstly on a Sunday morning for one hour from about 10.30 am. It should be a cheerful upbeat programme involving listeners with a popular song request time for about 10 minutes. Taking the best from the original programme , but without the nationalistic, and military type songs, but big band songs can be included. The best of traditional music from various countries should be included, making the station more popular. QSL cards could be included and paid for by listeners. A few popular songs from classical music should be included to indicate a high standard of programming. Radio Netherlands need not be forgotten, by experiencing a rebirth. What kept it going for many years can keep it going for many more , including repeating each episode at different times and frequencies for worldwide listening, and including use of the internet for those in distant parts of the world who cannot easily receive the shortwave broadcasts. The most catchy and popular station call sign should be included, or even voted on. I am now of 70 years, and first found the Happy station when I was 12 years old.